It's "Tricky," but if you find yourself swaying your head to a familiar beat from a DJ with a familiar look, we suggest you do a double take. The son of Jam Master Jay is now spinning throughout New York City and he goes by the name DJ Jam Master J'son. Jam Master Jay was the one-man band for RUN DMC -- a DJ with scratches and beats that kept the party going while the Rev. Run and DMC unloaded rhymes. Yet the pioneering rapper encountered the same fate as the greats after him like Tupac Shakur and the Notorious B.I.G. Jam Master Jay was murdered eight years ago and his killer remains at large. He was gunned down in his Queens studio off Merrick Boulevard. "To the world, Jam Master Jay was lost. To me, I lost my Dad," says Jason Mizell Jr.
"Witnesses were very afraid of the bat, some didn't want to cooperate, some did, but they were very afraid to cooperate," says former NYPD Detective Derrick Parker of the investigation into the still unsolved murder. Parker wrote a book about the murder from his time working with Hip-Hop related crimes. He took NBCNewYork back to the scene of the crime: the second floor studio of 90-10 Merrick Boulevard. "Apparently who ever was up there that buzzed those people in knew who they were letting in," said Parker, who like other investigators believes Jay knew his killer. 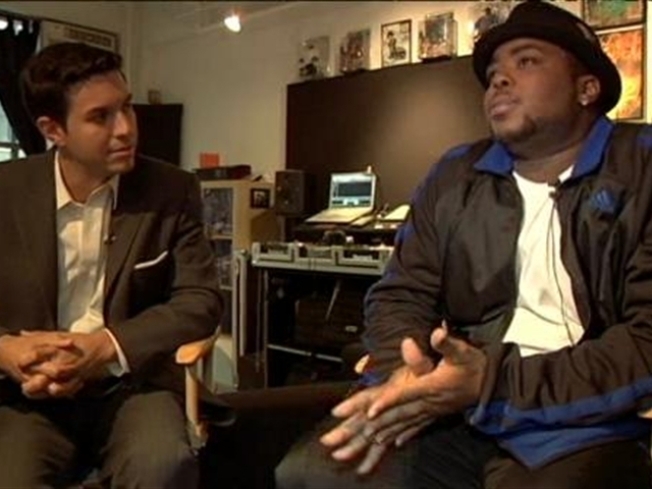 Jay's studio has been converted into the Hall of Fame studio owned by a new company that has kept Jay's legacy alive with painted murals and several RUN DMC memorabilia that decorate the walls. Jay was playing video games with a friend when the killer walked into the studio with an accomplice and shot Jay point blank. Police sources tell NBCNewYork witnesses have not come forward out of fear for their own lives. At least two people in the studio at the time of the murder saw the killer's face, yet no one will point a finger. The motive is still unknown, but investigators have discounted an early theory that the killing was based on a hip-hop dispute. "It messed me up for a long time, actually," says Mizell Jr., who now doesn't dwell on his father's death. He says if he had five minutes with his Dad he would ask him about music, not murder. "How much (sic) hours did you literally spend staring at a turntable? My father didn't mess up ever -- that's pretty strange he was like a computer with the turntable."